Dynamic Gift strives to be your first port of call for quality, customised corporate gifts and promotional products in New Zealand. With rapid quotes, flexible service and a true commitment to excellent quality, we have served customers from Kaitaia to Stewart Island and have produced superior results every time. 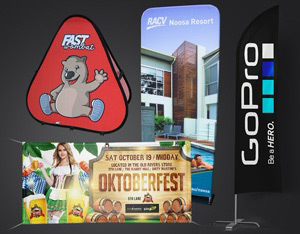 Our extensive selection of event merchandising offers exceptional value for money and can be tailored to your specific corporate image. 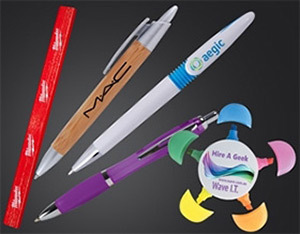 Our knowledge and expertise in the corporate promotional gift industry has given us a unique perspective with regard to our customer’s needs. Our staff are well versed in promotional marketing practices and are constantly studying industry and broader advertising trends in search of more effective ways to help our customers to promote their businesses. We know how important it is to get things right the first time, and we strive to do just that. That means we listen to our customers and do our best to meet their product and budget requests. 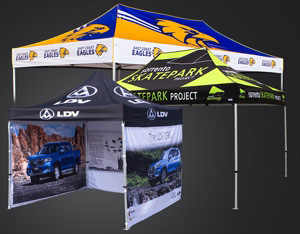 We invite you to contact us to see why we have gained a strong reputation as one of the leading providers of promotional products and branded merchandise. 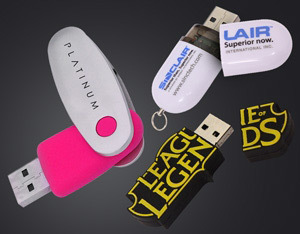 USB flash drives, key rings, power banks and even clothing and apparel, we produce it all! We also understand the need for speed when it comes to getting your gifts out there in the community. Whether you are in Hamilton, Napier, Auckland or elsewhere in New Zealand, we can get a quote to you within one hour of receiving your request. 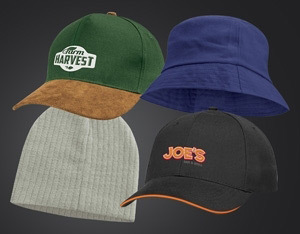 When manufacturing your promotional merchandise, our lead times are some of the shortest in the country, allowing you to get your custom-made promotional items within record time. Even on customised products we are the fastest producer in New Zealand. If you would rather handle the printing on your own, we can deliver plain goods unbranded to your business at extremely affordable rates. If your company has its own artwork and designs, we will be happy to print or engrave these onto your chosen promotional gifts. Using the Pantone Matching System, all colours will be precisely what you need, fitting in with your marketing strategies perfectly. 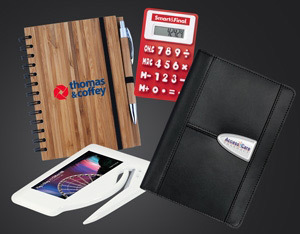 Ordering our corporate promotional products in New Zealand will deliver exactly what you require for giveaways and trade shows all at very cheap rates! 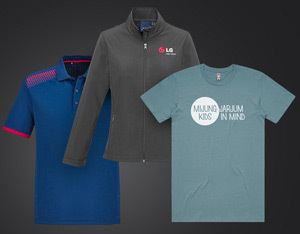 If you are stuck for corporate gift ideas, you can even get our team to handle the design work for you if there is no pre-existing logo or image. This will be done free of charge regardless of how many revisions are required. No matter where you are around in New Zealand, we will work hard to ensure you get your order in rapid time. From Wellington to Palmerston North, we have reached out to past clients and delivered high quality promotional goods very quickly indeed. Now, we are keen to demonstrate our abilities to you and develop a positive reputation with yet another organisation. Whether you are ordering exhibition giveaways or Christmas gifts, we will customise, design, manufacture and deliver our products in the precise manner specified. We also promise to maintain excellent quality results throughout the production process. Because our design service is offered free of charge, custom keyrings and lanyards can be obtained at the same competitive prices as our standard products. Whilst quality is important to all our clients, speed is sometimes the most critical factor. Because we have strong buying power and excellent relationships with our factories we can turn products around at an unstoppable pace. With some products available printed and delivered within New Zealand inside of 3 days! We also have a big range of stock identification products in our Auckland office which are available for pickup or next day delivery to your door. We can't be matched on price, quality or customer service so put us to the test and we promise you won't be disappointed. 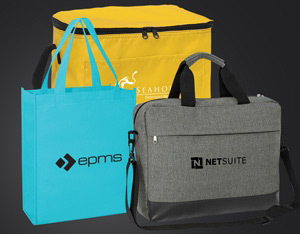 When ordering items to be used at a trade show that has been brought forward or to replenish stocks that have run out more quickly than anticipated, our ability to produce and deliver affordable promotional items and corporate gifts for companies across New Zealand in record time makes us the obvious choice. 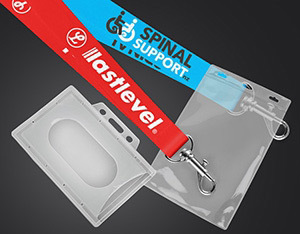 Wristbands, neck straps, lanyards and corporate pens are just a few of the items that we can customise with your marketing message and are ideal for exhibitions in Auckland or publicity campaigns in other areas around New Zealand. We know how important it is to get things right the first time, and we strive to do just that. That means we listen to our customers and do our best to meet their product and budget requests. We invite you to contact us to see why we have gained a strong reputation as one of the leading providers of corporate promotional products..
We won't mess you around and our sales team are second to none at what they do. 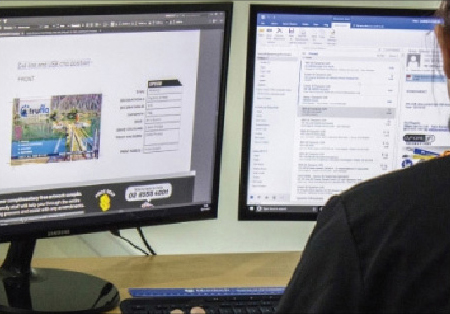 We take the headaches out of ordering corporate products with our in house design team able to bring your ideas to life prior to production which ensure you get the exact item you require without any confusion. 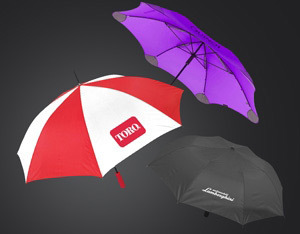 Browse our selection of flash drives, umbrellas, apparel and keyrings and see what we can provide for you and your organisation. 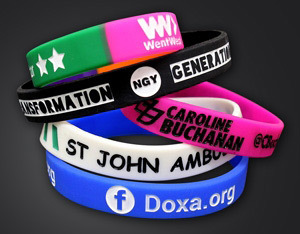 Whether you run a charity or corporate enterprise, our promotional gifts and merchandise are guaranteed to please. So forget about low quality goods that fail to impress your staff and clients. Each promotional item from Dynamic Gift can be customised with your logo and design in order to present the exact image you are looking for. We also ensure excellent quality standards when it comes to both materials and designs. 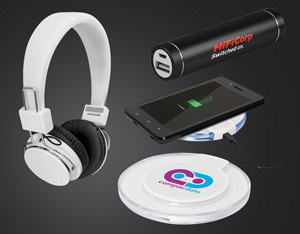 These corporate gift ideas are thus truly effective when advertising any New Zealand business as they provide a positive impression to employees and potential customers. Add onto this first class service and you have one of the top promo solutions in the country.